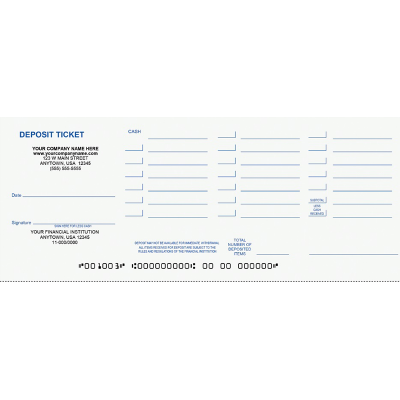 Our check kits come with checks, envelopes, and 250 deposit tickets. 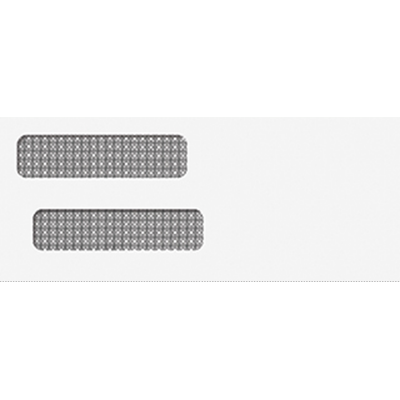 Our QuickBooks checks contain 3 perforated parts on an 8 ½ x 11 sheet of paper. 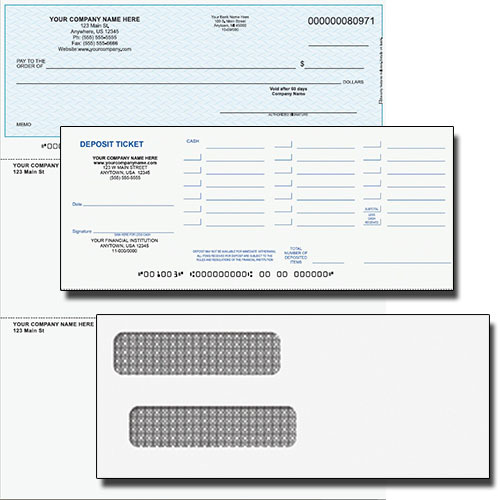 The bottom two parts to the check are called Stubs and are easily separated. The bottom stub is for your records and the middle stub is for your payee’s records. 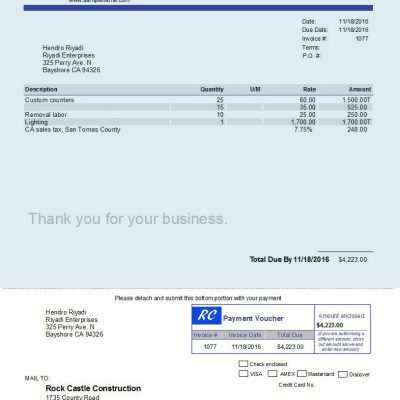 We customize your checks printing your business name and address along with a “black and white” logo on the check. 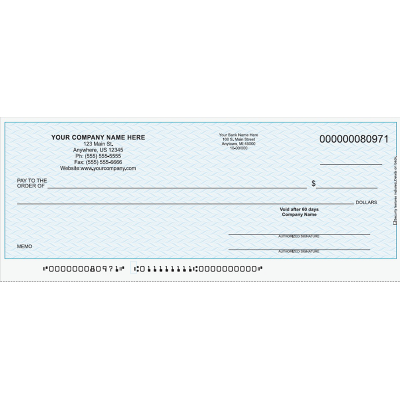 The face of the check contains the standard printing for the sections containing the payee’s name, date, amount, plus we print bank’s name and address, routing number and account number. You can also include a custom printing above the signature line, such as “void after 90 days”. Those that try the self-sealing envelopes never return to regular gummed. When you have a lot of envelopes to stuff at one time (for example payroll checks) this is this the envelope you want.